See exactly how it’s done step-by-step with videos! Scrapbooking videos give you the exact steps to certain scrapbook techniques and scrapbook tips. If you are a beginner scrapbooker, I’m sure you’ll enjoy these videos. These videos are courtesy of YouTube.com and Scrapbook.tv and the wonderful scrappers who shared their scrapbooking passion with others through these videos. All these are short video clips that’s usually less than 10 minutes each. 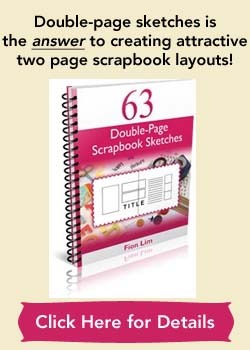 Each video clip is packed with scrapbooking ideas, tips and techniques and they are like mini “scrapbook classes”. Except you don’t even have to step out of your house, but just watch these instructional classes from the comfort of your home on your computer. You don’t have to stay in the “dark” or wonder anymore. Watch these videos and see how how it’s done step-by-step. I was thrilled when I first came across these videos and I just have to share them with you. So here’s a collection of scrapbook videos I’ve assembled for your viewing pleasure. 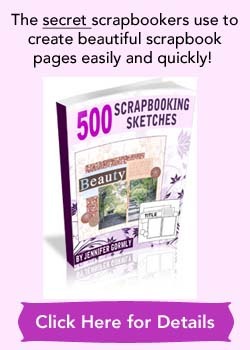 They’ll certainly add to your scrapbooking education. I learned a few things from these videos too and I’m sure you’ll pick a tip or two. Sit back and happy watching!